The shape of the face is sleeker (more oval than square), and it looks more like a woman’s watch than a clunky man’s watch. It, like the Charge HR, has a watch clasp and buckle, which is much more reliable than the “line up the holes” closure on the earliest Fitbit models. The Fitbit Charge 2 strap is interchangeable. That’s right; if you buy a black band and want to convert to another color — or get one to match every outfit — you simply buy a replacement band (red, pink, peach, gray, brown, green, blue and more sold individually or in a set of 10+ different colors) and snap it on. (Fitbit Charge HR doesn’t have that capability; the color band you buy is the color you have forever.) Leather and metal replacement bands are also available. This is a REAL game changer! The charging process is easier, and spare chargers are available for $6.98 on Amazon. 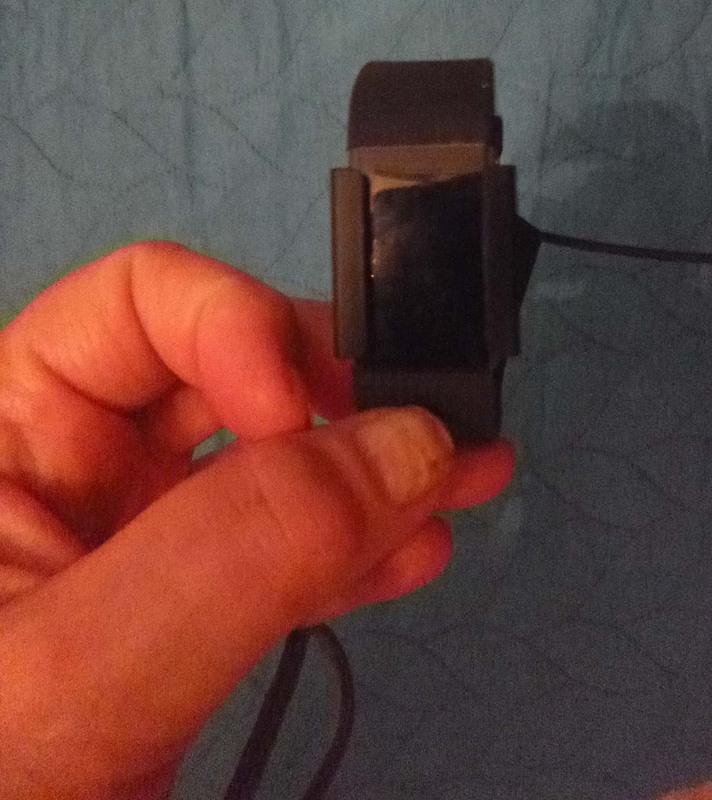 Instead of having to line up two small pins from the charger into the back of the Fitbit, the Fitbit 2 lets you open the charger (like squeezing a clothespin) and fasten it around the sides of the Fitbit display, then plug it into a computer or into a square plug to charge in a wall socket. The display is bigger and better. There are several formats to choose from, but the one I chose has the time, date and number of steps on the first screen. This is really convenient, because on the Charge HR you had to press the button and scroll to the second screen to see the number of steps that day. Just like fewer clicks on a computer is a good thing, fewer clicks on a Fitbit is better, too. I like the fact that the date shows on the initial screen. Don’t you sometimes forget exactly what date it is, like I do? The Fitbit Charge HR would occasionally display the initial screen by flicking the wrist instead of having to depress the button on the device — but it wasn’t consistent. The Charge 2, however, provides this info nearly every time with a flip of the wrist, reducing motions needed and eliminating the need to press a button to get any info. Fitbit Charge 2 has the ability to track exercise other than walking (steps). For example, I do a one-hour, high-intensity, high-rep Body Pump weightlifting class once a week. 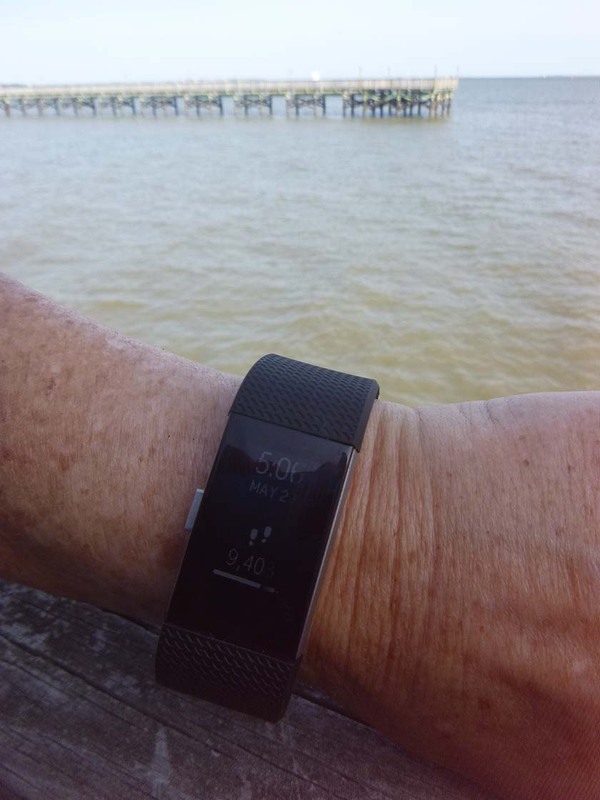 Since it involves very few steps, essentially standing in place to lift a bar full of weights about 700 times, that exercise didn’t count for many steps on Fitbit Charge. 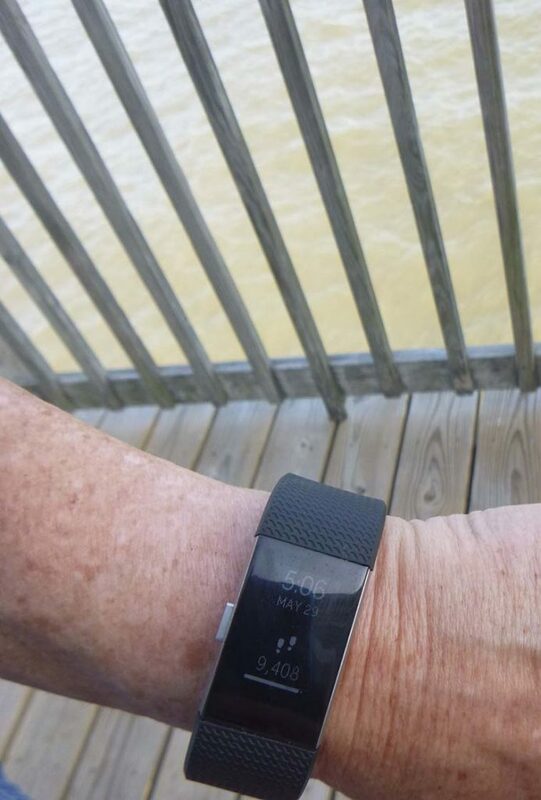 Now, all you have to do is select the type of workout on the Fitbit screen and press the button to begin to log it, at the start of the class, and log out at the end. The Fitbit dashboard converts the activity to additional steps for the day, extra calories burned and additional active minutes. For example, my Body Pump class added 5,055 steps to those I actually walked the rest of the day, and an additional 313 calories burned. It also gave me another 52 active minutes. That’s much better! Fitbit Charge 2 has a stress-reliever function called Guided Breathing that guides you through a 2- or 5-minute relaxation exercise to slow your breathing, indicating on the screen the progress you make in reducing your heartbeat rate. This feature is especially useful for work! Fitbit Charge 2 has a stainless steel body, which looks more elegant than the all-plastic Fitbit Charge HR. Fitbit Charge 2 has reminders to move when you’ve been sedentary too long. Both track the same things — steps, distance, floors climbed, sleep length and quality, resting heart rate and more. Both can notify you of incoming phone calls and texts from your smartphone by vibrating and displaying the message or phone call info. Both measure your sleep and have silent alarms you can set. Both work with the Fitbit phone app and computer app to show a dashboard of Fitbit statistics by day, week, month, etc. Conclusion: I’ve had at least five different Fitbits over the past five years, and love them! Fitbit Charge 2 is a winner — and the improvements are great! 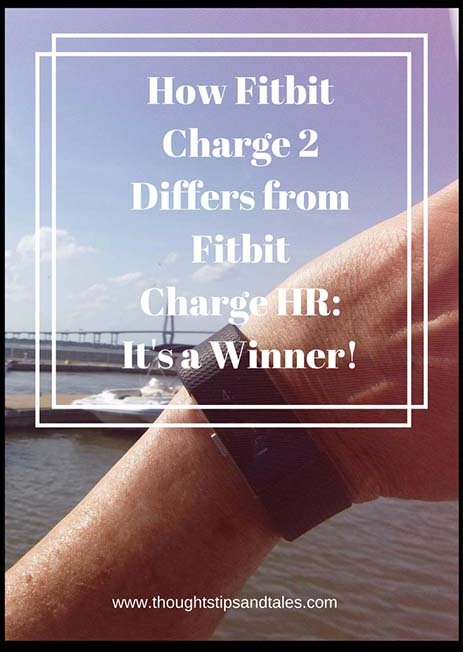 This entry was posted in fitbit, fitness and tagged charge 2, comparison of fitbit charge 2 and fitbit charge hr, Fitbit, fitbit charge 2, Fitbit Charge 2 review, fitbit charge hr vs. fitbit charge 2, Fitibit review, fitness trackers, how does fitbit charge 2 differ from fitbit charge hr. Bookmark the permalink. My son and DIL just bought some and love them too. I’m trying to get by with my simple fitbit and different apps on the phone, but I know I will get a new one soon. They are cool. A friend at work got one and loves hers, too. It’s hard to resist getting a new Fitbit toy, huh?